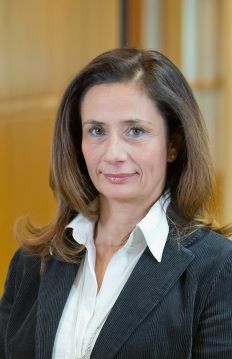 Vicky joined Avramopoulos & Partners Law Firm in 2005 as a partner. She focuses on most aspects of maritime law and advises mainly Bank Institutions and shipping companies on financing, ship registration and mortgaging, sale and purchase of ships, and incorporation of shipping companies. Her practice also encompasses legal counsel to domestic and foreign investors who are interested in land and marina development. Further, Vicky participates in various legal due diligence processes and provides legal advice to multinational companies on the establishment of companies or branch offices in Greece and various administrative matters. Vicky started her career as an associate at George E. Bairactaris & Partners Law Offices (1992-1998), where she undertook all aspects of legal work relating to financing, ship registration and mortgaging, sale and purchase of ships and incorporation of shipping companies. From 1999 to 2004, she served as an in-house lawyer at leading maritime companies and pleasure yacht/chartering companies in Piraeus, practising maritime law with a particular focus on financing, sale and purchase of ships. From 2004 to April 2005, she worked with the Public Properties Company as legal advisor for Marina Management and Development and she contributed to the complex process for the opening of the “Faliron Marina” in Piraeus by the Public Properties Company. Offering commercial solutions to bank institutions and shipping companies, structuring the loan transactions and drafting loan documentation for the financing and acquisition of bulk carriers, chemical tankers, tugs, cruise ships and yachts as well as for working capital, refinancing, etc. Provision of legal services to shipping companies for the sale and purchase of ships, ship registration and insurance matters. Provision of legal services to Greek and United States marina operation and management companies in regards to the process to be followed with the Greek state and according to Greek legislation for administrative and operational matters. Provision of legal advice to Greek and United States marina operation and management companies for the sale of their shares and the acquisitions of shares in the main Greek marinas. Participation in significant merger and acquisition projects. Participating in legal due diligence processes for the acquisition of a major Greek airline company; the purchase of Greek advertising companies by a well known European corporation of the advertising sector; the purchase of a Greek quarry in Northern Greece by a multinational French manufacturer of construction products and innovative materials, etc. Provision of legal advice to a well known UK Company for the concession of units (including their development and operation in the Athens International Airport and for the lease in a major shopping center in Athens), as well as the provision of legal advice on the implementation of the relevant agreements.